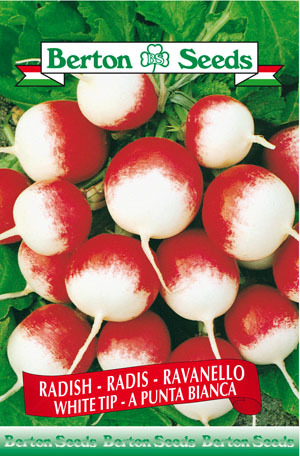 Fruits are round and coloured red with white tips. Suited for sowing in early spring or early fall when temperatures range between 50-60 F. Sowing instructions: Plant seeds 1 cm(0.5 in.) deep. Sow in rows 6-8 inches apart. Thin seedlings to 2 inch spacing when they are 2 inches tall.